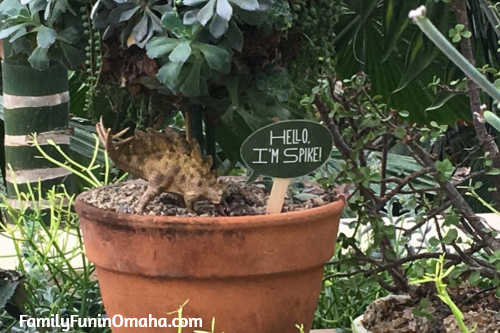 This is a Sponsored Feature with Lauritzen Gardens to share all about Dinosaur UpROAR! 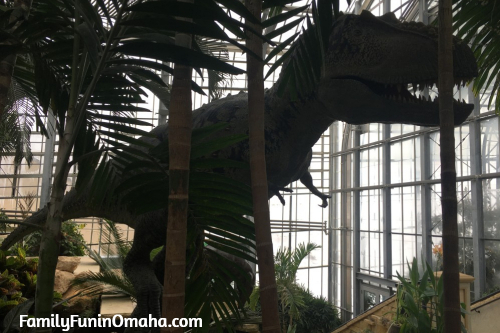 Experience Dinosaur UpROAR at Lauritzen Gardens, January 17 through May 12th! See what the excitement is all about at Dinosaur UpROAR! 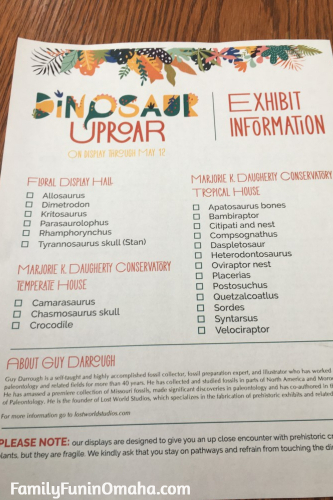 Experience Dinosaur UpROAR, the exciting new display at Lauritzen Gardens, full of life-sized dinosaurs, January 17 – May 12, 2019! 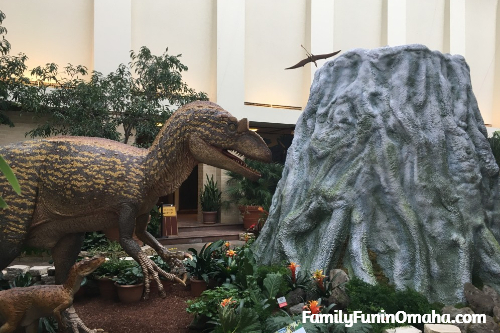 Located throughout the lush vegetation in the garden’s floral display hall and the Marjorie K. Daugherty Conservatory, the dinosaurs will range in size from a 14-inch Sordes to a 30-foot Parasaurolophus and a 33-foot tall Daspletosaur. These incredible sculptures are the work of Guy Darrough and his team at Lost World Studios, who bring the prehistoric world to life with amazing detail. 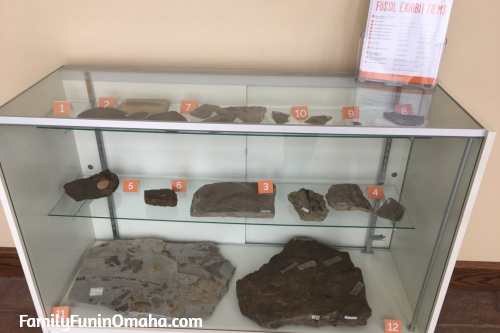 Be sure to stop by to see the fossil displays! 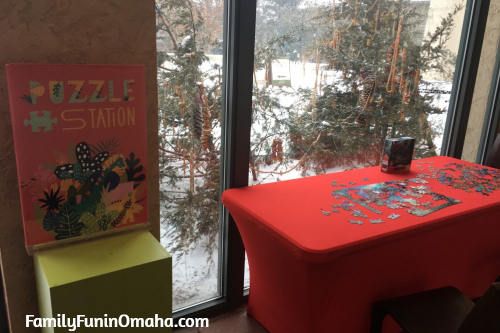 Lauritzen Gardens has put a strong focus on creating family-friendly fun. 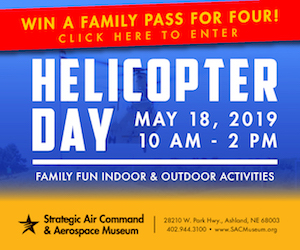 Throughout the exhibit, families can enjoy a variety of activities! 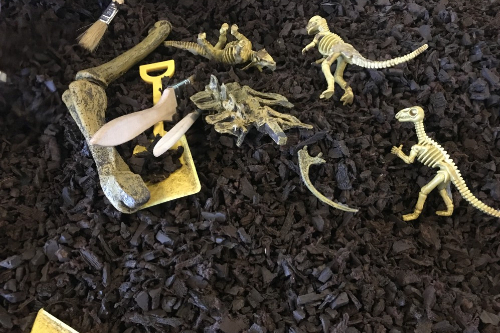 Budding paleontologists can visit the dig site to uncover buried artifacts, play in the dinosaur garden, or participate in other fun drop-in activities created by the garden’s education department. 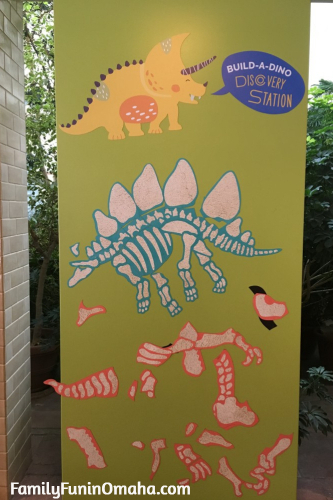 Be sure your kids pick up a scavenger hunt to help find all of the dinosaurs! There are a few hidden surprises, too! 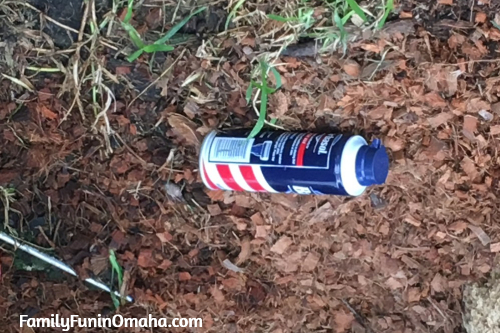 Try to find Spike, and the Barbasol can! 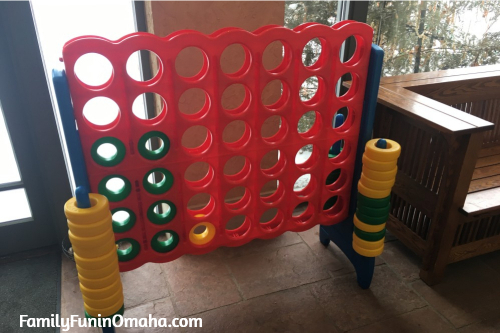 Kids and adults alike will enjoy the giant Connect 4 game! 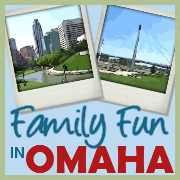 COST: $10 adults, $5 for children (ages 6-12), Free for garden members and children under 6. Get a glimpse of the dinosaurs illuminated at night during Dino-Nights! 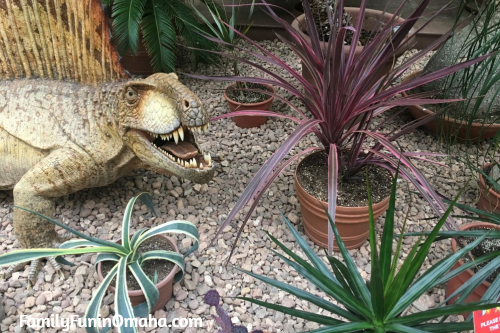 Explore the garden’s “Jurassic dark.” Get an evening fossil fix that’s fun for the whole family when the sculptures of Dinosaur UpROAR are illuminated. Included with regular admission. 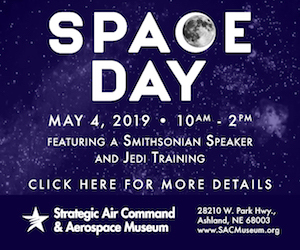 Find out more about these Special Events here! 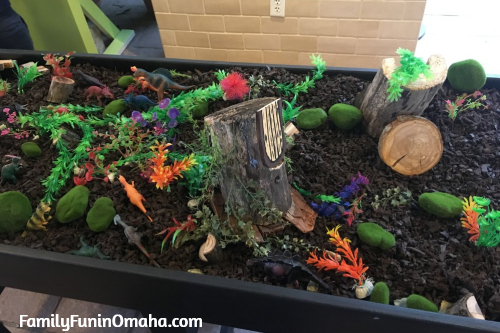 THE PRIZE: A Family 4-Pack to visit Dinosaur UpROAR at Lauritzen Gardens! This giveaway has ended. Many thanks to all who entered! Congratulations to Laurie D.! OTHER: Entrants must be 19 or older and located in the US only. Winner must respond within 48 hours to claim their prize, or another winner will be chosen. Only one entry (+ bonus entries) per person. Duplicate entries will be deleted.